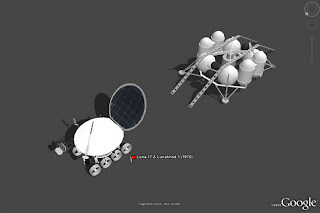 Retired SketchUp Blog: SketchUp goes to the Moon! 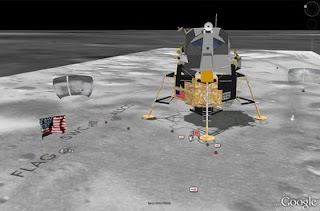 SketchUp goes to the Moon! Many of these objects have been modeled in Google SketchUp, and are based on drawings, photographs, and dimensions. One model that has a prolific presence on the Moon comes from Google 3D Warehouse model contributor, Pagan. 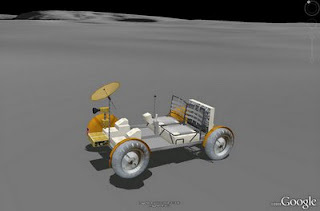 This user modeled the Apollo Lunar Module and it is featured at each of the Apollo mission landing sites, as well as in the guided tours. Very nice, but one major nit: the ascent modules are not there any more (at least not on top of the descent modules). Can you provide more information on this? I am new to the subject. Please come visit my site Sterling Heights Michigan when you got time. I forgot about those! Maybe they look good w/ the right outfit? I didn't like skinny jeans when I first saw them. lol. Please come visit my site Tulsa Yellow Page Business Directory when you got time. Congratulations to Google for adding this great new feature (re: The Moon) to Google Earth. Perfect timing considering the first man on the moon, Neil Armstrong, touched down 40 years ago on July 20th, 1969. I enjoyed watching the 40th anniversary celebrations last week "almost" as much as I enjoyed the Apollo Program growing up as a kid. I watched all of the Apollo Missions from Apollo 4 and every televised manned space mission since. So now having the opportunity to explore the Moon and beyond using Google Earth becomes more of a joy by the day.